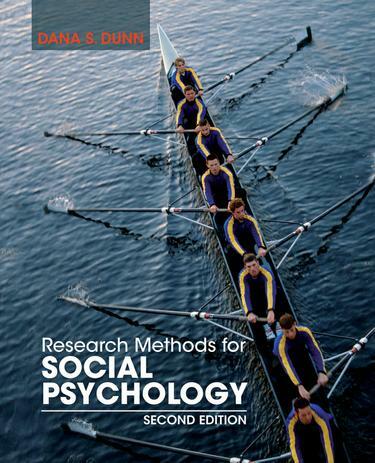 The 2nd edition of Research Methods for Social Psychology offers information on how to conduct empirical research in social psychology. The author teaches readers to think like experimental social psychologists, that is, to use or develop explanatory theories and to manipulate and measure variables in order to explain the origin or purpose of some aspect of social life. It provides information to perform research projects on human social behavior from start to finish, from selecting a research topic to collecting and analyzing data to writing up and the results using the American Psychological Association’s required format (i.e., APA-style). Along the way, they will learn about the particular ethical issues social psychologists face, the logic of experimental design, alternative research approaches, sorting accuracy from error in research, and how to orally present their findings, among other issues. This book contains up-to-date scholarship and emphasizes active learning through pedagogical activities and exercises designed to help students design and execute their own social psychological research.